This information may be subjected to changes through time - also related to the possible entry into force of new sector regulations, the updating or distribution of new services or technological innovations - for which the visitor is invited to consult the site periodically. 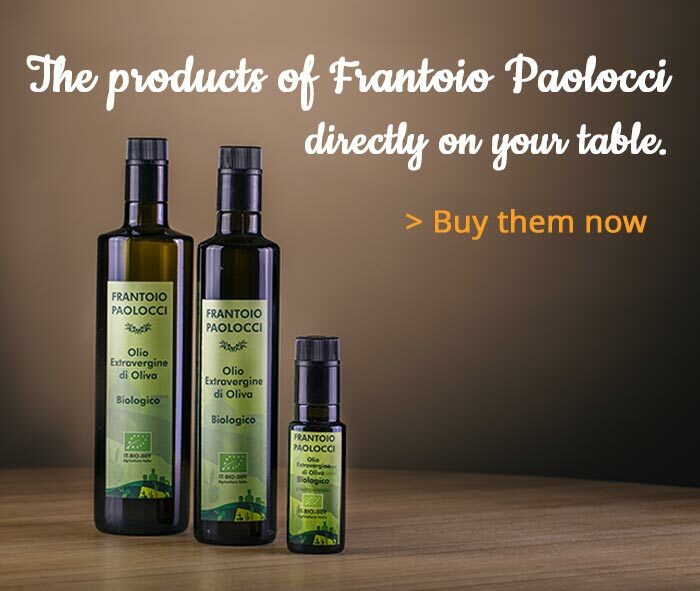 In this page the users can understand how the website www.frantoiopaolocci.it is managed (site in the following report) with reference to the processing of personal data of users who consult it. This report is provided by the European Regulation 679/2016 concerning the protection of individuals with regard to the processing of personal data, as well as the free circulation of such data (Regulation in the following pages) for Customers on our site, which are provided via the internet. The report is not valid for other websites that may be consulted through our links, whose Frantoio Paolocci is not responsible. The Data Controller is Frantoio F.lli Paolocci S.r.l., via Cassia 12, KM 69.500 - 01019, Vetralla (VT), email: info@frantoiopaolocci.it. Your data are processed to be used for the exchange of information and for the management of any exchange of information for pre-contractual activities. Your data are processed in relation to the contractual requirements, and to the consequent fulfillment of legal and fiscal obligations, as well as to allow an efficient management of financial and commercial relations. d) the fulfillment of the obligations provided by the civil and tax laws, regulations and Community legislation. e) the achievement of an effective management of commercial relations also for the purposes of credit protection. c) carry out commercial activities through our direct and indirect sales network. With your consent, we may process your personal data for sending newsletters containing information about our products and our promotional and commercial activities. Personal data processing means any operation or set of operations, performed with or without the use of automated processes and applied to personal data or sets of personal data, such as the collection, registration, organization, structuring, conservation, adaptation or modification, extraction, consultation, use, communication by transmission, dissemination or any other form of making available, comparison or interconnection, limitation, cancellation or destruction. In particular, the personal data processed through the Website are data provided voluntarily by the interested party by filling in the forms on the site and navigation data. The navigation data are data that the computer systems and software procedures used to operate the Site acquire during their normal operation and whose transmission is implicit in the use of Internet communication protocols. This information is not collected to be associated with identified interested parties, but it could, through processing and association with data held by third parties, allow users to be identified. This category of data includes the IP addresses or the domain names of the computers used by the users connecting to the Site, the time of the request, the method used in submitting the request to the web server, the size of the file obtained in response, etc. More information on the acquisition of browsing data is available in the cookie information. The processing of data takes place through the use of tools and procedures suitable to ensure the security and confidentiality and could be carried out with the help of computer and paper media. Frantoio F.lli Paolocci S.r.l. will not disclose your personal data giving them to indeterminate subjects in any way, including by making available or consulting them. The data collected for the purposes referred to in paragraph 2.1 above will be kept for one year from the date of the last exchange of information. The data collected for the purposes referred to in point 2.2 will be kept for the time necessary to fulfill the purpose of processing in compliance with legal obligations, after this time will be deleted. The data collected for the purposes referred to in paragraph 2.3 above will be kept until the request for cancellation of the interested party or withdrawal of consent. The data collected for the purposes referred to in paragraph 2.4 above will be kept until the eventual request for deactivation of the activated service or the withdrawal of consent. • the existence of an automated decision-making process, including profiling. To exercise these rights, contact the Data Controller via contacts indicated in the section "1 Identity of the Data Controller". The Site provides to visitor a range of services without requesting any personal data or information. However, some services require the mandatory provision of data in order to fulfill the obligations in the business relationships in relation to the management and conclusion of the contract and in order to fulfill the obligations provided by laws, by regulations and Community legislation, or by instructions given by Authorities legitimated by the law and by supervisory and control bodies. Failure to provide such data will make it impossible to establish or continue the relationship, within the limits in which such data are necessary for the execution of the report.